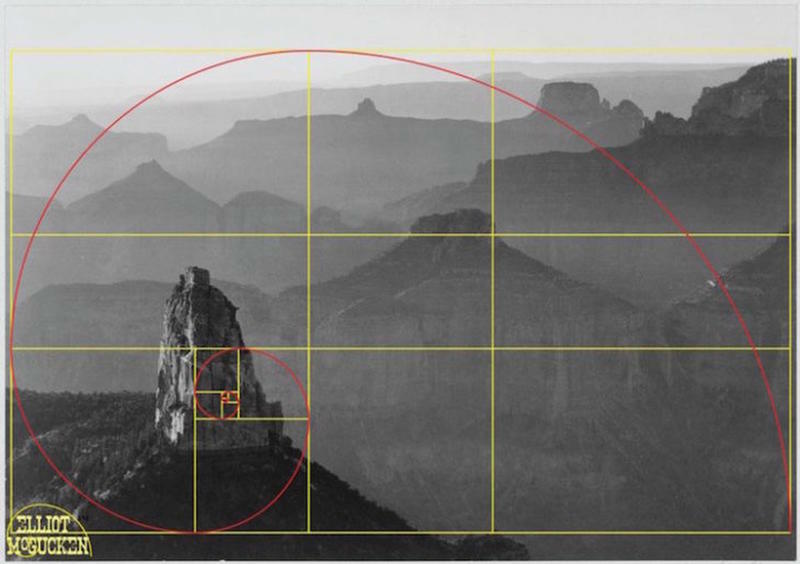 Photographer Eliiot McGucken was browsing through a few public domain photos of Ansel Adams’ and recognized the application of the Golden Ratio in the works of the legendary landscape photographer. 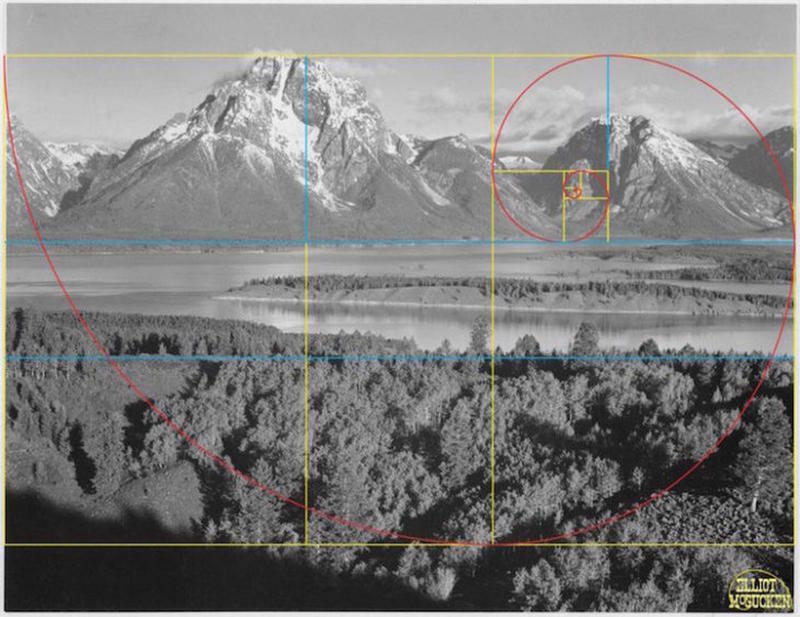 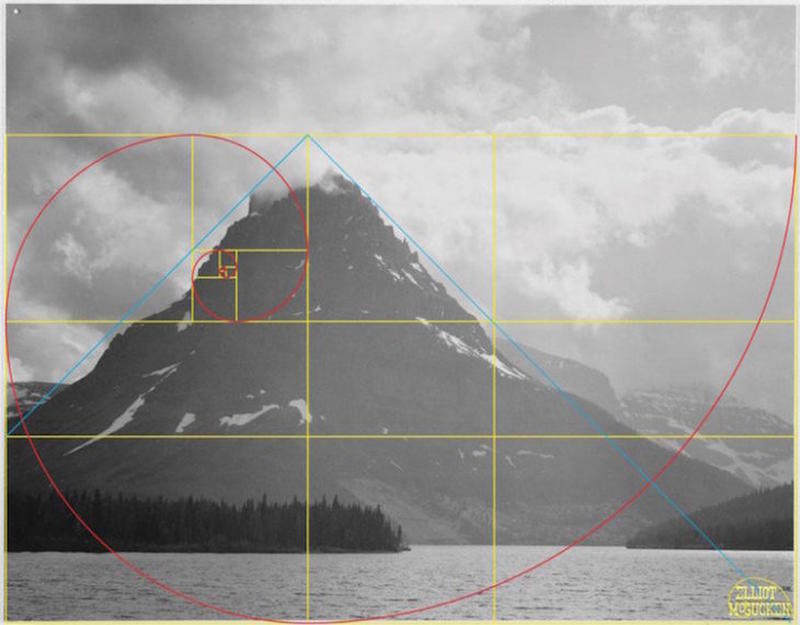 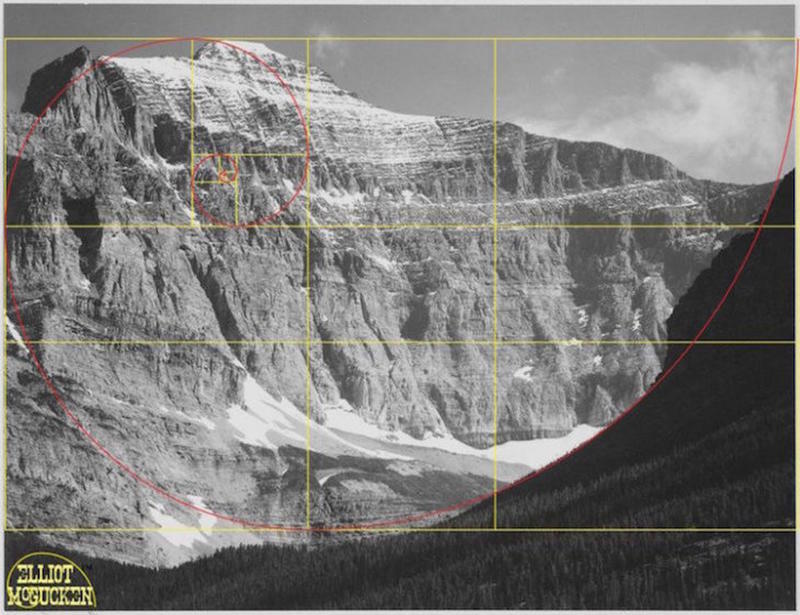 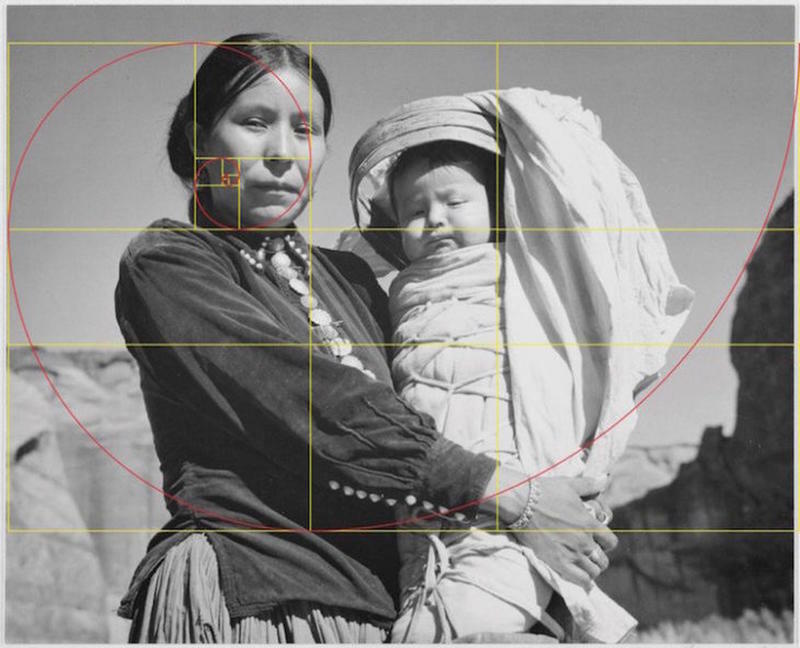 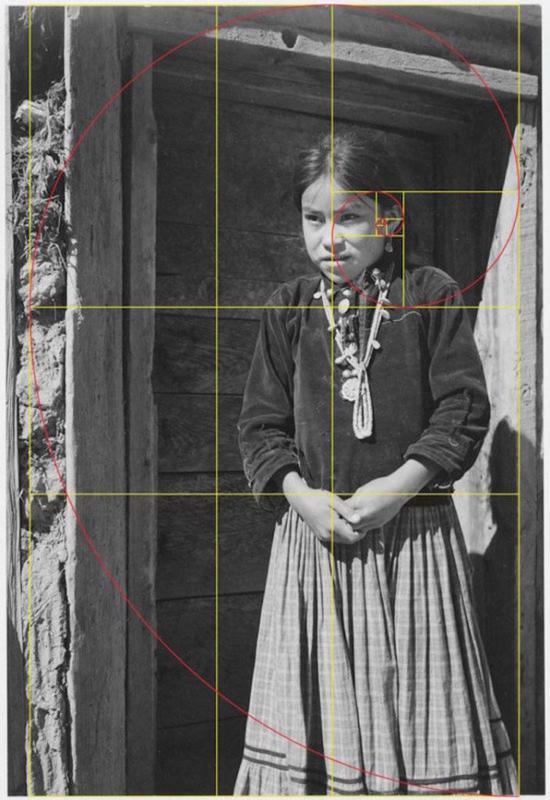 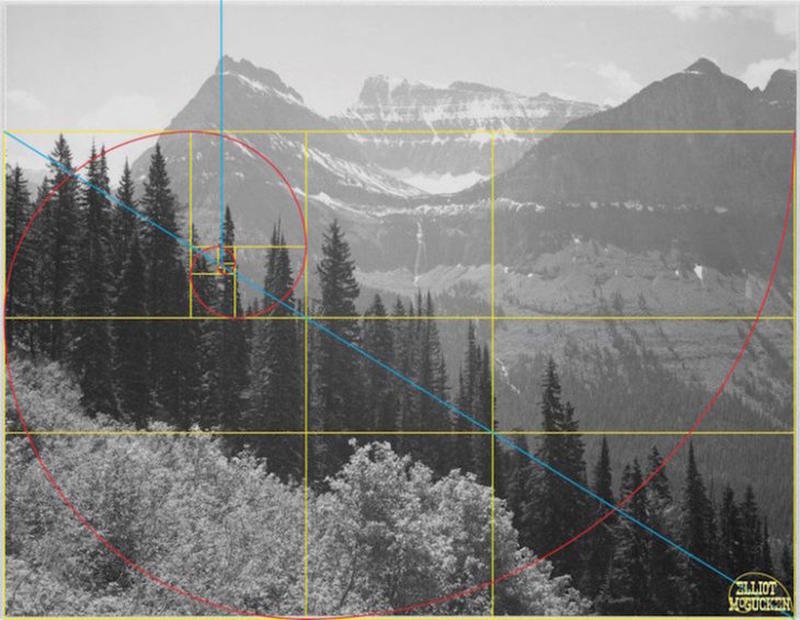 The Golden Ratio is a mathematical principle which is found in nature and utilized by many great artists and architects. 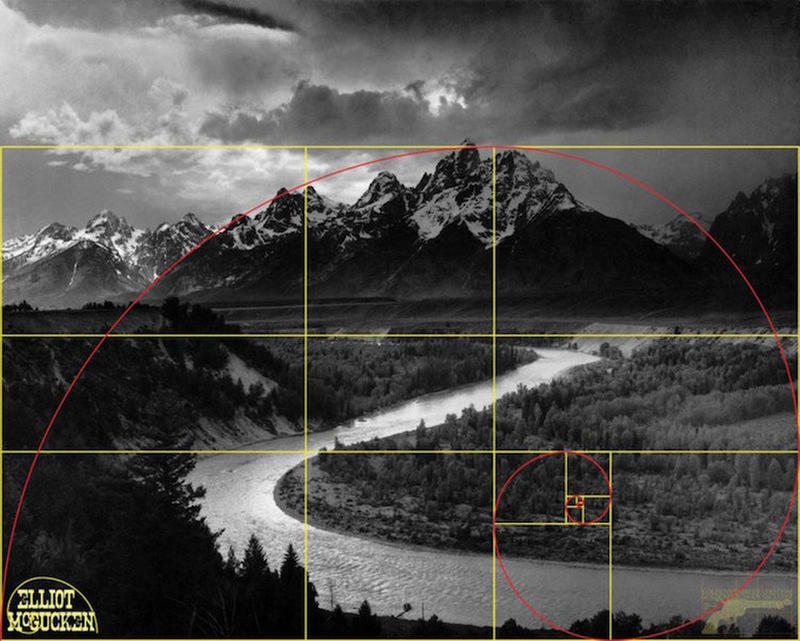 This creates visual harmony with a composition, may it be a picture of a person’s face or a landscape. 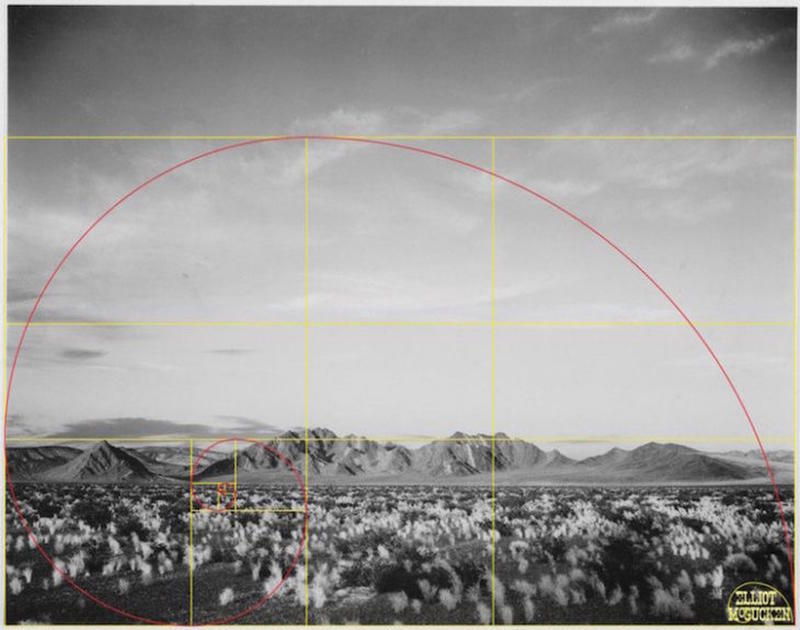 When McGucken saw the ratio, he started overlaying the ratio diagram on Adams’ public domain photographs to verify his initial thoughts— and there it was, repeatedly. 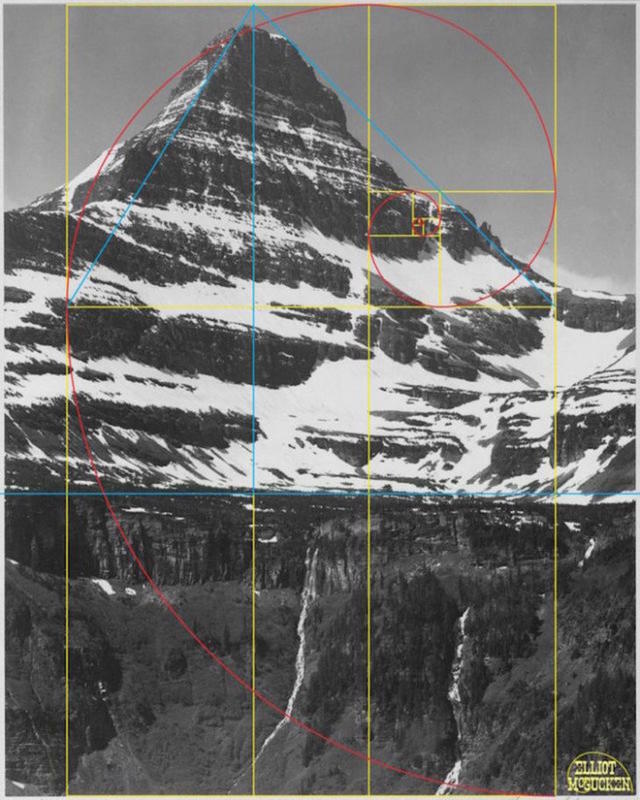 It seems Adams never disclosed using the Golden Ratio so it’s uncertain whether he used it consciously or subconsciously. 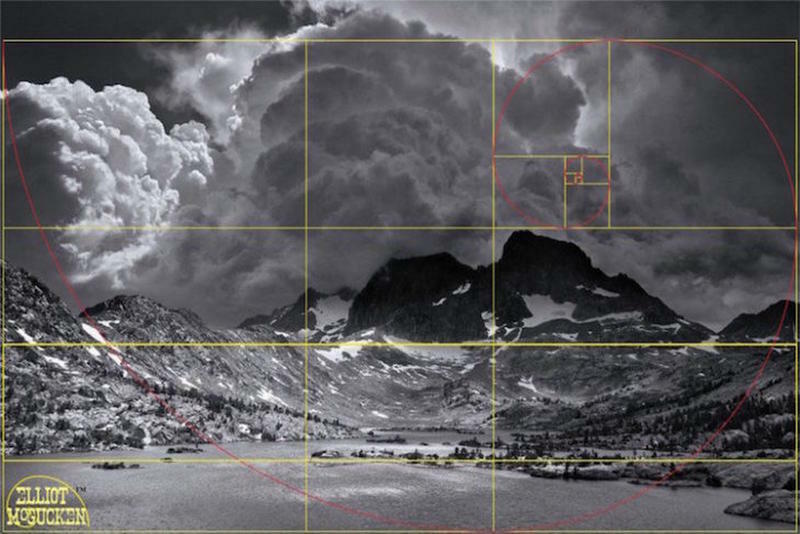 Either way, employing this aesthetically pleasing principle brings out its classic beauty and attracts the viewer into his work.